It is truth that led Omar El Akkad to fiction. 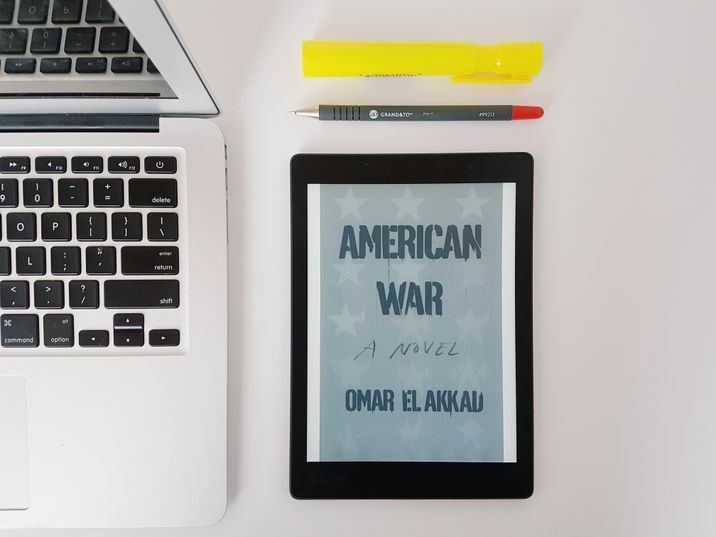 A journalist who covered the war in Afghanistan, military trials in Guantanamo Bay, strife in the American South and the rise of Black Lives Matter, El Akkad had much to draw on when he came to write a novel about the second American Civil War. Set 50 to 60 years in the future, American War, extrapolates where today’s political direction and divisions could lead. Further, it imagines what would become of us if the tragedies that are currently happening “over there” – drone strikes, torture, suicide bombers – were to come home to America. Much of the detail and urgency of the novel comes from El Akkad’s first-hand experience. He says the central notion of the book is that it is necessary to understand how someone becomes broken by these things. The transition of a human being who is fundamentally good to being fundamentally broken is a journey we can all take, easily. “You can be born bad but you have to be made evil,” says El Akkad. El Akkad’s champion in this is actor Tahmoh Penikett, the comely son of a former Yukon premier. (You can watch Penikett in action in Altered Carbon on Netflix). 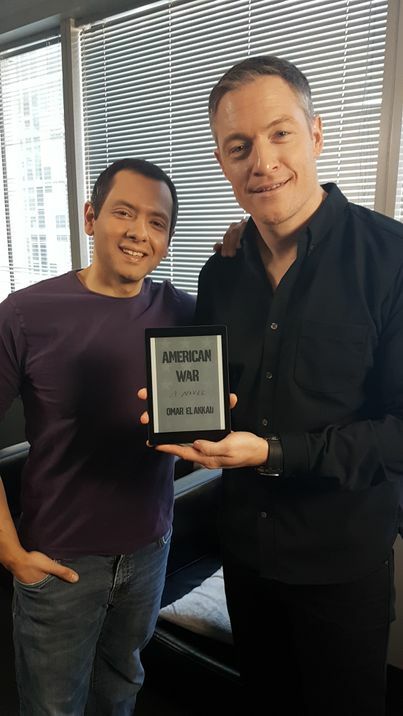 “I was ten pages into the book, 20, and I knew this is the book I wanted to defend,” says Penikett. El Akkad said mercy was very much on his mind as he was writing the book.